While the main point of contention surrounding Watch_Dogs at launch was the supposed graphics downgrade, there was also a strong split between those who loved the driving controls and those who hated them. The game was more similar to a simulation racing game than the accessible, arcade-like style of Grand Theft Auto. For Watch_Dogs 2, Ubisoft decided to make a complete turnaround on this particular gameplay element. In an interview with Stevivor, Senior Producer Dominic Guay explained the change in detail. I’m no physics expert so I can’t go into detail. With driving, at its core was this physics simulation, so a driving simulation. But when you had everything going on – people shooting at you, car chases and trying to hack things – it was just overwhelming. People lost control of their vehicles, and that’s just not fun. There’s a point where it’s cool to have mastery of the car, like being able to drift, but then crashing into walls is not fun. We tried to get to a point where we have much more accessible driving. That’s how we test it now. We give the controller to someone and within five minutes we want to see them with full control of their vehicle. That doesn’t mean we don’t want to have depth; you want to be able to do crazy moves, but it’s okay if you can’t, as long as you’re in control. The one thing we wanted to preserve that’s important to us is that every vehicle style has a different feel. That’s something we were able to do relatively quickly, early on in production, and I can’t wait to get feedback from players. Honestly, I did like driving in the first game and it was one of the few areas where no one could have accused Ubisoft of copying Rockstar Games. 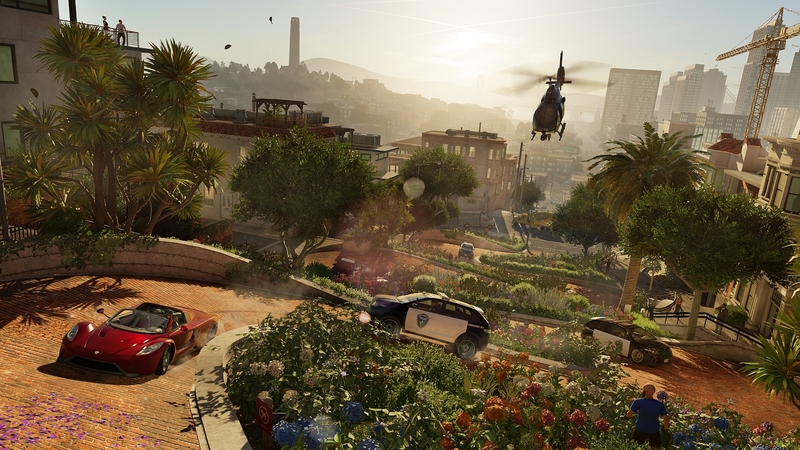 It sounds like Watch_Dogs 2 is taking a cue from the genre’s king when it comes to driving – hopefully there’ll be additional elements that make it unique. Watch_Dogs 2 is scheduled to be available for PC, PlayStation 4 and Xbox One on November 15 worldwide. You can take a look at the latest E3 gameplay demonstration in our previous report.